This gorgeous new Glitz Collection of Flower Girl Party Dresses will definitely be a collection that every mom would love. These girls special occasion flower girl party dresses are absolutely beautiful and yes, very affordable as well.This beautiful collection of dresses is one section in our online store that many of our parents just love because of the quality and affordability of these dresses. In this Glitz Collection of our girls party dresses you would find a dress for every occasion. 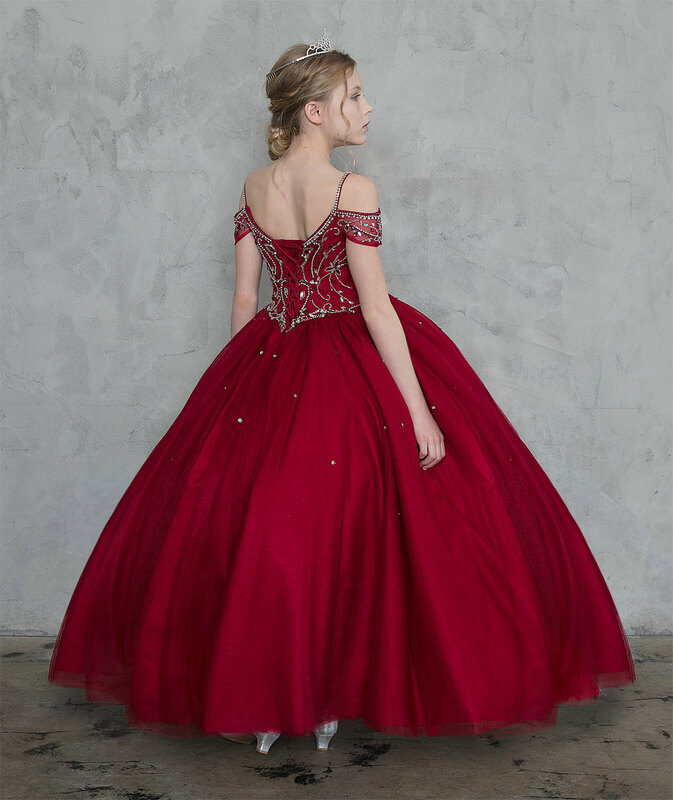 We love these dresses because they are offered in beautiful choices of colors to choose from as well as various style and sizes. Here at Blush Kids Luxury Couture we value our customers and we know how stressful it can get sometimes shopping for your child's special event. That's why we have gone ahead and provided this beautiful collection of flower girl party dresses that are lovely and affordable for you Mom. Our highly trained customer support staff will answer any questions you may have during the course of your shopping online with us.